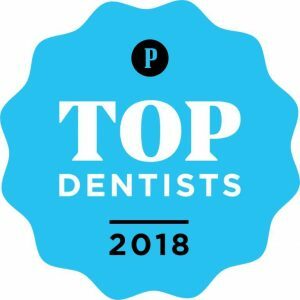 Philadelphia orthodontist Dr. William W. Roberts has been named Top Dentist by Philadelphia magazine. A Rittenhouse Square-area orthodontist, Roberts serves his patients in two different offices – one in the Medical Arts Building in Philadelphia and the second in Lawrenceville, NJ – making appointment-scheduling convenient no matter where patients live, work, and play. His exceptional work, character, experience, education, and devotion to his patients makes Dr. Roberts an in-demand but accessible orthodontist in the Center City area. One of Philadelphia’s top providers of Invisalign braces, Dr. Roberts is committed to excellence in dentistry. His goal is to help every patient achieve the straight, comfortable, and beautiful smile they envision. Dr. Roberts works seamlessly with general dentists and dental specialists to ensure that you get the highest level of oral health care along with your orthodontic treatment. Adults who need braces or are finally ready to align their smile are naturally drawn to Invisalign. Dr. Roberts is unique in offering Invisalign braces at his Philadelphia and Lawrenceville orthodontic offices. This type of orthodontics requires specialized education, and the extensive experience Dr. Roberts has in this alignment method ensures that Invisalign patients will receive the best-quality care and supervision throughout their treatment. The practically invisible Invisalign aligners makes it possible for adults to straighten their teeth privately, without drawing unwanted attention to themselves. Teens are drawn to Invisalign for the same reasons. Invisalign is a demanding method of orthodontia. The aligners must be worn 20 to 22 hours a day, but the freedom to eat when you please and whatever you please, and the ability to fly under the radar about straightening your teeth makes the requirements worth the effort. Dr. Roberts creates a customized, effective treatment plan from start to finish for every patient which, when followed as instructed, will result in a beautiful, straight smile. Knowing the kind of braces that are right for you is a determination best left for the experts. You may be a better candidate for traditional metal braces, clear braces, or Invisalign. The condition of your teeth now, alignment goals, and any complicated cases will impact the way treatment commences. Orthodontics are an investment, whether you’re pursuing this kind of treatment for your adolescent or yourself. Flexible payment plans and multiple orthodontic options help make the orthodontic journey far more manageable in all ways. When you want straight teeth, they are absolutely a possibility for you. Dr. Roberts’ operates his orthodontic practices with his wife, Dr. Tanja de Marsche. Together, they have over 36 years of experience in adult and adolescent orthodontic care. 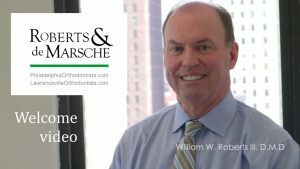 What sets Roberts and de Marsche apart is their adaptability and dedication to innovations in orthodontics. Together, they have treated over 2,000 Invisalign cases. Contact us to schedule your consultation. Saturday appointments are available to make your efforts at achieving an aligned smile even more possible.